Keep in mind what was said in Chapter 6 about strategy development: Every strategy begins with a tendency. 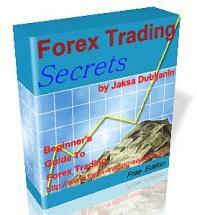 One of the most dependable features of the forex market is its tendency to form trends in a variety of time frames. Forex trends can continue for weeks, months, or even years, and traders who align themselves with these trends improve their chances of success. Let's look at some specific techniques to capitalize on this well-known forex market tendency. 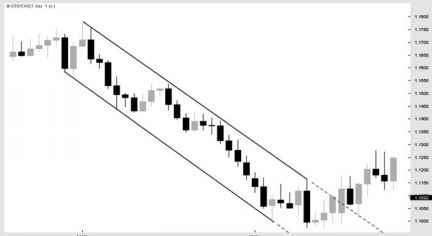 • First, look to the longer-term chart, which is the daily chart in this example, to see if the currency pair is trending. There are several ways to do this; simply draw a trend line, or use an indicator that is designed to determine market trend. For instance, the average directional index (ADX) indicator could be used to determine if the market is trending. Or we could look to moving averages to determine if they're in the "proper order" formation. • Often, the trend will be obvious without the use of any trend lines or indicators. The best trends are the ones that are obvious, because other traders can see the trend and act on it, creating a "self-fulfilling prophecy." 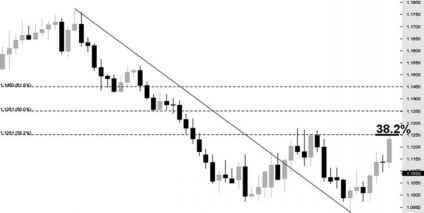 • If the currency pair is trending higher, trade from the long side only. If it is trending lower, trade from the short side only. 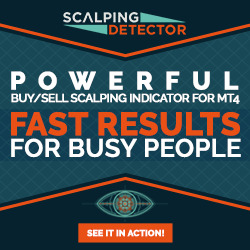 If there is no discernible trend, then don't attempt to place a trade using this technique, as it is specifically designed for use in trending markets. • First, we'll determine the direction in which we want to trade from the long-term chart; then, we'll look to the short-term chart to locate our entry point, stop, and exits. • If we have determined that we are in an uptrend on the daily chart, we can go long if the price falls to a level of support on the hourly chart. Or we can go long if an oscillator, such as relative strength index (RSI), indicates that the pair is oversold on the hourly chart. Enter long with your stop below the area of support. 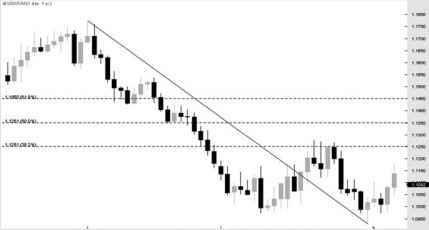 • In the case of a downtrend on the daily chart, we will seek to sell at resistance on the hourly chart, or if oscillators indicate that the pair is overbought on the hourly chart. Remember, if the daily chart is in an uptrend, we can only go long. If the daily chart is in a downtrend, we can only sell short. If we cannot tell if the market is trending, then we cannot use trending techniques such as this one. As you will see, there are many variations on this theme. Essentially, I'm going to use everything at my disposal to locate good entry points and put my trade in harmony with the daily trend. This system allows us to trade only in the direction of the overall trend, and it requires that trades can be placed only after the price has pulled back to a favorable entry point. In other words, it will not allow the trader to enter long at the highs or enter short at the lows. The technique can also be used in shorter time frames; for example, an active day trader can use a four-hour chart as the longer-term chart and a 15-minute chart as the shorter-term chart. Take a look at this long-term trend in the U.S. dollar/Canadian dollar currency pair in Figure 8.1. As you can see, the exchange rate had been falling steadily for years, from above 1.60 in 2002 to below 1.10 in 2006. During these years, the prices of commodities like gold and oil made spectacular gains. Canada, a major producer and exporter of energy products and metals, benefited from the increasing flow of capital that it received in payment for these goods. This is why the loonie is often referred to as a "commodity currency." FIGURE 8.1 A long-term downtrend in USD/CAD pair. Source: FXtrek IntelliChart™. Copyright (g 2001-2006 FXtrek.com, Inc. This increased flow of capital served to strengthen the Canadian dollar, as importers such as the United States were forced to send more of their wealth to Canada in exchange for these materials. The trend became particularly pronounced during the spring of 2006, fueled by a fierce rally in metals like gold, silver, and copper. The rally helped to push the Canadian dollar to a 27-year high versus the greenback, and simultaneously the currency pair reached multidecade lows in early May (see Figure 8.2). Then in mid-May, after a spectacular run, gold, propelled by massive hedge fund buying, peaked at $730 per ounce. At about the same time, the USD/CAD pair bottomed out. As profit takers emerged, gold began to float lower, and the USD/CAD pair began to drift higher (see Figure 8.3). As trend traders, our objective is to use this trend to our advantage. 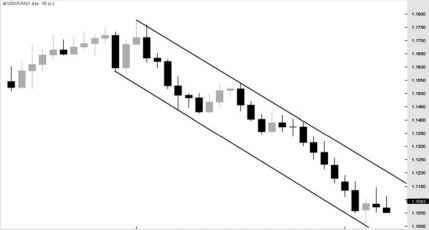 Because the currency pair is in a downtrend, we will look only for short entries, and ignore any opportunity to go long. Since the pair is rallying, we need to locate our entry point. We want to locate a major resistance level. FIGURE 8.2 Commodity rally pushes USD/CAD to a new low. Source: FXtrek IntelliChart™. Copyright © 2001-2006 FXtrek.com, Inc. FIGURE 8.3 Pullback in gold and other commodities eases pressure on USD/CAD. Source: FXtrek IntelliChart™. Copyright © 2001-2006 FXtrek.com, Inc. 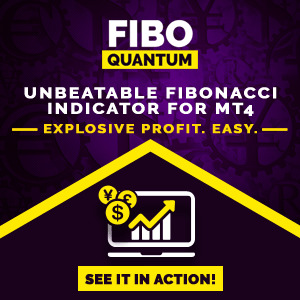 FIGURE 8.4 Fibonacci is used to locate possible entry points for a short trade. Source: FXtrek InteNiChart™. Copyright © 2001-2006 FXtrek.com, Inc.
for our trade. We want to sell short, so that when the trend reasserts itself, we'll be trading in harmony with the trend. 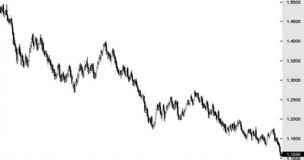 In this case, let's draw our Fibonacci from a peak in early April down to the low in late May (see Figure 8.4). We can see that the 38.2 percent retracement of the recent downtrend is a possible point of entry. Additionally, this Fibonacci level coincides with the area of 1.1250, which acted as resistance several weeks earlier. We'll consider the 38.2 percent Fibonacci retracement at 1.1250 an area of resistance for now (see Figure 8.5). Several days later, the exchange rate has reached the Fibonacci level, and the pair is trading at resistance. Should we place a trade? Not yet; instead, let's see if we can increase our chances of success. The trader looks to the hourly chart to try to locate prior resistance or an overbought oscillator, such as the RSI or the slow stochastic indicator. In this case, we can see in Figure 8.6 that as the exchange rate approaches the vicinity of 1.1250, the RSI (calculated using 14 periods) climbs into overbought territory. OVERBOUGHT DOES NOT EQUAL "SELL"
FIGURE 8.5 38.2 percent Fibonacci retracement coincides with earlier support. Source: FXtrek IntelliChart™. Copyright © 2001-2006 FXtrek.com, Inc. FIGURE 8.6 RSI is in overbought territory on the hourly chart. Source: FXtrek IntelliChart™. Copyright © 2001-2006 FXtrek.com, Inc.
overbought territory. Consider this for a moment: Just because a currency pair (or a stock or a commodity) is overbought, does this mean that it cannot go higher? Think back to some of the persistent rallies that have occurred in the markets, for example the great run of the NASDAQ at the end of the twentieth century. I'm sure that oscillators and other indicators showed that the NASDAQ was overbought, but did that stop it from going higher? How many people lost money trying to fight that trend? If there is one phrase that makes me cringe, it's when somebody tells me, "It can't go any higher" (or, if the trading instrument is falling, "It can't go any lower"). The price or exchange rate can always go higher after a big rally, or lower after a huge drop, and it often does just that. As traders, we have to accept the fact that anything is possible once we have entered a trade. How do we know for certain that the price has peaked before we can sell short? We can never know for sure, because nothing is certain in trading. Trading is just the art of stacking probabilities in our favor. Fortunately, there is a way that we can increase our chances of success. I recommend waiting for the oscillator to drop from the overbought level and into neutral territory. This is often an early indication that the momentum is turning, and a counter move may be in the offing. Certainly, if we wait for the oscillator to turn before entry, we will not enter at the absolute peak. Many traders seem to be overly concerned with getting in at the ultimate entry point. In other words, they want to sell short at the peak and go long at the absolute bottom. The problem with picking tops and bottoms is that it is a hazardous game. 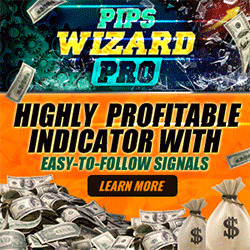 Nobody can accurately predict the peaks and valleys in stocks, futures, options, or forex, and a trader who tries this is simply attempting to get lucky. It's the equivalent of a poker player's trying to draw to an inside straight; it might work some of the time, but in the long run the odds are against you. If we wait for the momentum to turn, we have no chance of entering at the very top or bottom, but that's okay. Experienced traders are willing to sacrifice a portion of the move, in exchange for the increased probability of success that patience provides. FIGURE 8.7 RSI dips from overbought to neutral, creating a short entry. Source: FXtrek InteNiChart™. Copyright © 2001-2006 FXtrek.com, Inc.
As the exchange rate slides and the RSI descends from overbought levels, we prepare to enter our short trade. When the exchange rate drops, we enter short in the vicinity of 1.1225, the point at which the RSI is no longer giving an overbought reading (see Figure 8.7). We must immediately enter a stop order to protect against any adverse movement. We have several options for doing this, and the first option will be to place the stop above the recent high of 1.1245. What is the rationale for locating the stop at this point? Consider the possibility that, after our entry, the exchange rate could rally further. Do we really want to hold on to this currency pair if it changes direction and reaches a new, higher high? No, if the pair trades above 1.1245, we don't want to hold on to it, as it could be breaking out to the upside. So, we'll place our stop in a location that will take us out of the trade if a new high is reached.